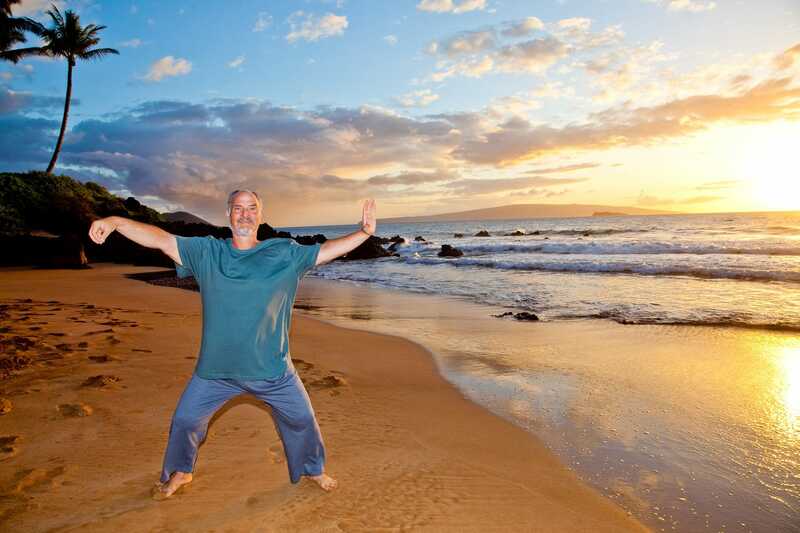 I created these programs to be the easiest way to learn tai chi. More than just a follow-along video, I take you step-by-step to teach you the first eight moves of the Wu style tai chi short form. We will focus on helping you learn what you need in order to develop a good foundation, both physically and energetically, so that you can get the most out of your practice. I am a big believer in having ‘good starts’. Mastery in any field has to be built on a solid foundation. If you learn properly the first time, then you won’t have to unlearn bad habits later. 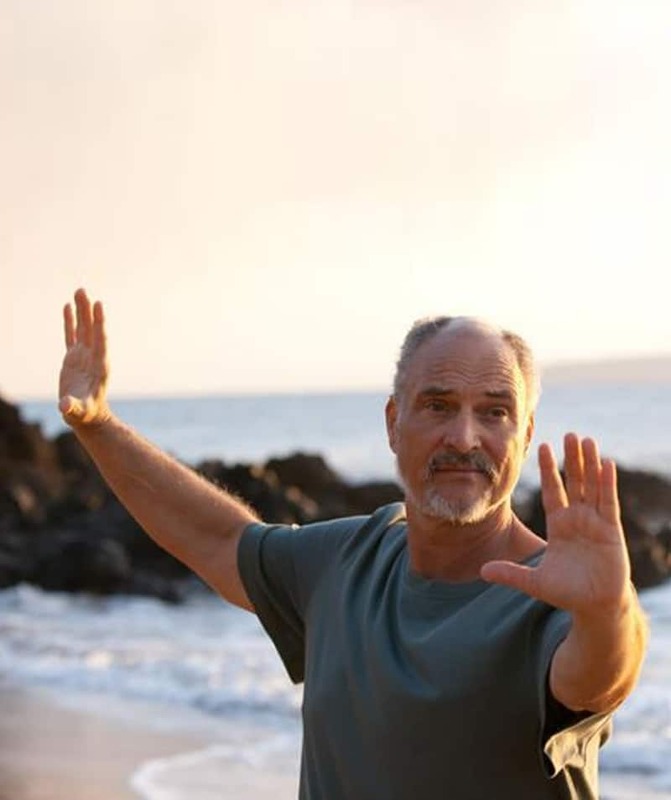 This program will help you deepen your “root” and develop strong tai chi fundamentals. For the first time, I am offering Tai Chi Circling Hands, a program I developed after learning hundreds of tai chi and qigong forms and teaching tens of thousands of students. I have found that this one program can help anyone learn tai chi. It teaches you how to break down tai chi movements into three primary circles. I believe it is very useful, both as a stand-alone exercise and as a way to dramatically increase the speed with which you can learn and improve your tai chi. As I have said before, tai chi has transformed my life and my health many times. It is one of the world’s greatest art forms and treasures. I believe it to be the uber-exercise on the planet and one that can help many people in the future. May you have fun learning tai chi and may it benefit you greatly! Tai Chi for Beginners: Contains over 40 online lessons on how to do the first eight moves of the Wu style tai chi short form. Designed for a complete beginner, those wanting to learn another form, and for those wanting to improve their physical foundation, alignments, and energetics within tai chi. Tai Chi Circling Hands™: Learn a complete energetic exercise and warm-up set to any tai chi form or style (Chen, Yang, Wu and combination forms). By understanding the three circles that power tai chi, you can improve your form and speed the learning process. These three circles are a complete stand-alone workout. After you join the program you will receive online access to over 40 lessons that you can watch online or download to your computer. Tai Chi for Beginners is the perfect starter course and covers the Wu Style Short Form up to the Single Whip Movement. Tai Chi Circling Hands was designed by Bruce as an exercise to teach the fundamentals of tai chi while at the same time giving the body a complete energetic workout. Tai Chi Circling Hands will teach you the internal neigong components which unlock the healing power of tai chi. An amazing energetic workout, with Tai Chi Circling Hands you can practice many of the more difficult internal components that fit into tai chi, such as breathing and opening and closings. Because the movement is more simple, it allows you to train the internal energetics in a easier container. Tai Chi Circling Hands can be done by just about anyone and you will get many of the primary benefits from a tai chi form. Many have found that learning Tai Chi Circling Hands enables them to dramatically lessen the time it takes to learn a tai chi form. Try the program risk-free for 21 days and if for any reason you are not satisfied, let us know and we will refund you , no questions asked.